For almost forty years, from 1900 to 1939, Coronado was home to a resort called “Tent City.” Readers today may think only of the Hotel Del Coronado when Coronado comes to mind, but Tent City was owned and run as a resort by the same people who owned the Del, the Coronado Beach Company. 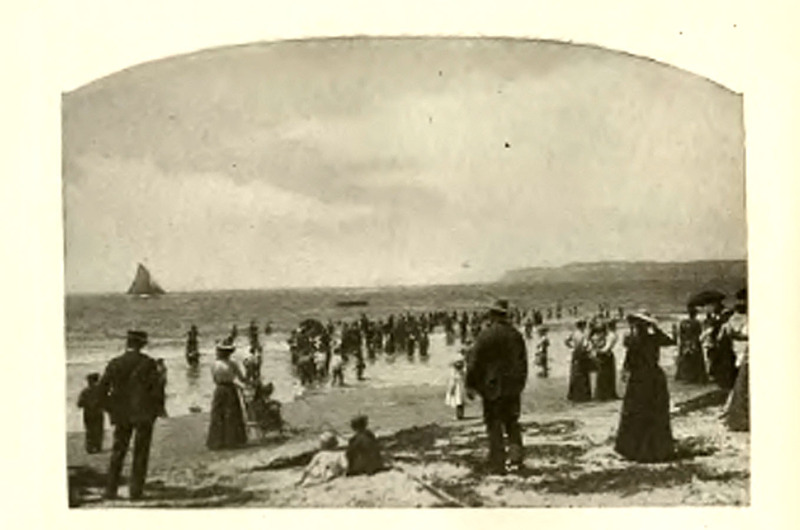 Here’s another photo from 1903 of some of those bathers cooling off. Tent City drew 10,000 residents during its June-through-September season in 1914. It would continue as a destination until 1939, when it closed to make way for highway construction. In addition to the abovementioned book and website, sources for this post also included historic San Diego County newspapers and the website of the Coronado Historical Association.